"We've been bullish on this season's strong depth in the the girls 1600 meter run. So much so that we wanted to run a historical comparison to get a sense of if this group is as good as we may think. "In this report, we rank the top 150 girls in the 1600m over the past decade. We explore the best performers, and the best seasons by both high-end and top-150 depth and draw comparisons with the current classes competing now." Now that the season is over, we wanted to take a second look at the impact the girls competing during the 2018 season had on the list of the best of the past decade. 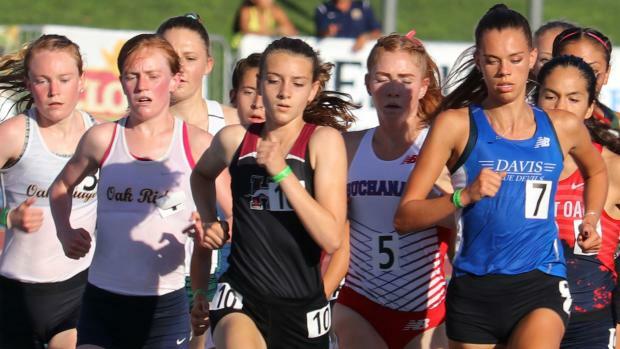 While this list of the top girls 1600m times in CA over the past decade goes more than 300 deep, we focused our study of the 2018 season's impact on the top 100, and on each of the groups of 10 places counting up to 100. We found that the 2018 season far surpasses the 2015 season as the fastest collectively over the past decade in California. Our database did not include Mariah Castillo's converted mile time from the post-season Brooks PR meet of 4:39.77 (4:41.40 mile), which is the second-fastest of the decade. Here, Castillo ranks 12th (4:43.69). But if she were to slot at #2, it would push Maddy Denner, currently #10, down a spot, so the ranking totals noted above would not change. Of the 11 who slot among the top 30, five will return in 2019. Among the 17 of the top 50, there are 10 returners. There are 17 who will return in 2019 among the top 100. CA girls 1600m runners in 2018 claimed seven spots among the state's all-time top 60 list. That's two more spots than in any other year.